IP this season, with a very high 55% groundball rate. If he’s truly harnessed his knuckleball, Dickey could become a trickier, more successful version of Joel Pineiro or Jake Westbrook. In other words, someone well worth rostering next season, even as he enters his late 30s. has a recovery period that might push late into 2011.
grab him cheap at the draft table instead. rate. Jon Niese might actually make the best keeper on the staff, but isn’t worth the effort in shallow mixed leagues. 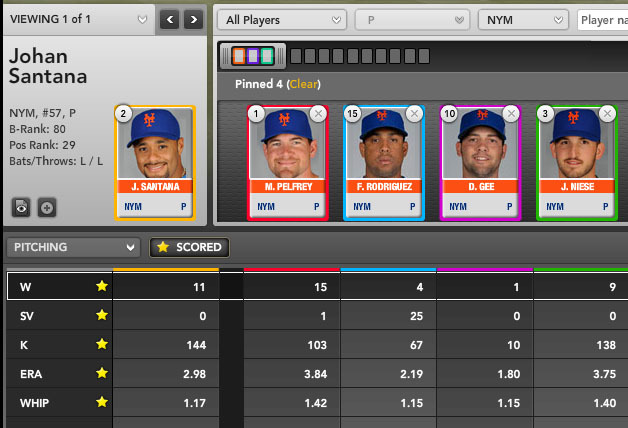 see if you can snag a couple late in your draft next season (Niese? Dickey? ), especially given their favorable home park.